We are a distinguished organization engaged in offering varied Metal Powders. Chromium metals powders are available in different sizes and can be availed by clients as per the requirement. Free from any sort of impurities and having longer shelf life, these powders available with us are appreciated among clients. Being a leader in the industry, we are engaged in providing a qualitative range of Chromium Metal Powder.Description:• This range includes 99.9% Pure Atomize -325 mesh for producing diamond tools. • Available in smooth powdered form, it is well appreciated by the customers in the market due to its easy adaptability. 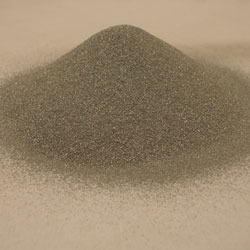 We supply chromium metal powder for manufacturing diamond tools, welding electrodes, electrical contacts, copper chromium alloy.our powder grain size ranges from 100 mesh to 325 mesh with purity 98 % minimum. Used in welding electrode manu. Wearplate manu. Backed by rich industry experience, we are able to distribute our qualitative range of Chromium Powder. The offered product range includes 99.9% Pure Atomize -325 mesh for producing diamond tools. Available in smooth powdered form, it is well appreciated by the clients in the market due to its easy adaptability. Chromium Metal Powder also finds its major application in welding electrode industry. Chromium Metal Lumps are used in Casting Units. 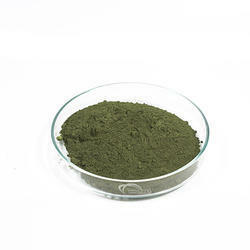 We are engaged in exporting and trading a wide range of products like chromium powder.